Waste collectors have a pivital role in city sanitation. Despite their noble contributions, the waste collectors are always ill behaved. “We are doing good, but it is not respectable job. We keep the city clean but we are equally treated,” shared Maya Tamang, Treasurer, Sanyukta Safai Jagaran Tatha Rin Sahakari (Cooperative). The cooperative aims to strengthen the economic status and uplift the lifestyle of people working in informal sectors particularly the scrap collectors. This cooperative has 740 members in total. Initially they started with the saving NRP. 1500 but now, they have at least NPR. 15,00,000 collected in the reserve. Member with minimum of NPR. 15,000 deposits can apply for NPR. 40,000 loans. At present the cooperative has NRP. 50,00,000 -55,00,000 transactions been made. Not just the behaviour of society, the behaviour of waste collectors have also changed, they use to drink alcohol but now, the people are more engaged in constructive work and saving activities. The cooperative also organises different training programs on leadership, skill enhancement such as knitting and beautician thus increasing awareness level of the members. Meanwhile the loan provided by this cooperative has also benefitted informal workers. 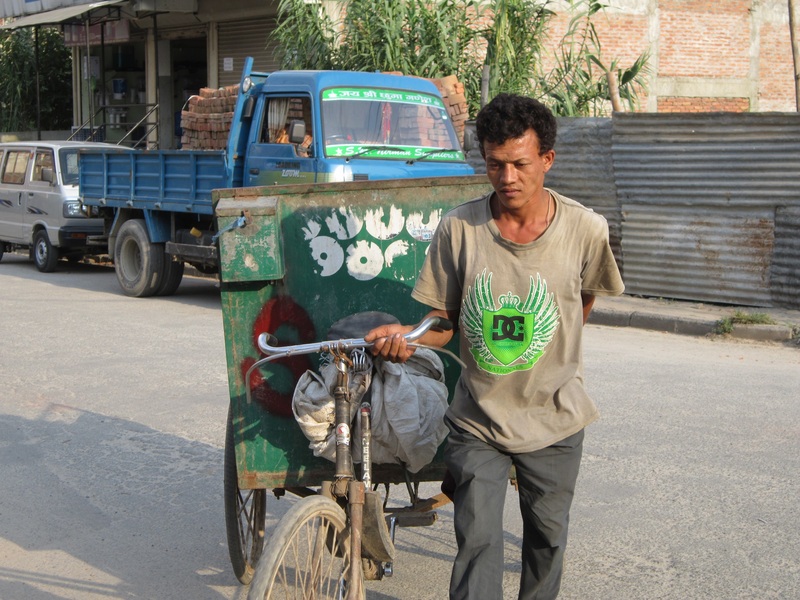 A waste collector Mayalu Tamang, 25 year old, shared, “I have taken loan of NPR 25,000 to purchase stitching machine. With the machine, I can now stitch clothes and follow my dream of owning my own tailoring shop.” Currently she spends her whole day at the Sisdol landfill site collecting scraps while during the evening hours, she works hard to fulfill her dream of opening her own tailoring shop. Despite the success of the cooperative, there exist challenges too. The cooperative members are not able to trust people as they have been cheated before. Also bringing other waste collectors together is very difficult. The cooperative was initiated for the welfare of the people engaged in informal works and it has brought positive change in lifestyle of the people working in informal sectors.